How to Cydia download for iOS 9 with Pangu jailbreak on Mac? Home › Cydia iOS 9 › How to Cydia download for iOS 9 – 9.0.2 using Pangu jailbreak on Mac? Pangu jailbreak for iOS 9 is now available in Mac version. This is the complete tutorial for how to jailbreak iOS 9 – 9.0.2 using Pangu on Mac. Users with compatible dvices running iOS 9.0 – iOS 9.0.2 are welcome to jailbreak & install Cydia for their devices with five steps. just follow the instructions are given below to success.. Note : This guide is only for the Mac users. For Windows users guide, follow below link.. Step 01 >> Download latest version of Pangu 9 jailbreak tool for Mac on your computer from below links. Step 04 >> Select “Already Backup” button to continue jailbreak process. Step 05 >> At around 65%, program will ask you to unlock your device and enable “Airplane Mode” again. Then, do it. Step 06 >> At around 75%, program will ask you to unlock your device and run the Pangu app. Tap on Pangu app icon in the home screen to proceed. Step 07 >> Then, tap on the “Accept” button to give permission to access photo library. Then click “OK” to continue. This means, you have successfully installed Cydia on your idevice. Now you are able to endless customizing your device with amazing Cydia tweaks & apps. Something wrong with the Pangu iOS 9 jailbreak process? Here’s troubleshooting..
Mac version of Pangu jailbreak iOS 9.0 – iOS 9.0.2 released.! Pangu 9 jailbreak released for iOS 9.0 – 9.0.2 iPhone, iPad, iPod. 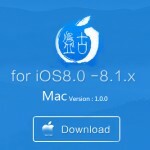 ‹ Mac version of Pangu jailbreak iOS 9.0 – iOS 9.0.2 released.! Apple will not allow for jailbreak iPhone, iPad or iPod. Follow our guides & install Cydia clearly. Please jailbreak with Pangu latest version. Jailbreak is one and only easy way to install Cydia. Please follow real jailbreak tools to get Cydia with protecting your device. Is there another way to get cydia without using pangu and with iOS 9? Pangu is the only tool that can be used to get Cydia for iOS 9 devices.